The shrinking brain mass of the German Hunting Association has again produced an abstruse video. The moving images come as plump sect propaganda à la Scientology to motivate its own members, these with brain damage, and is hardly intended for the general public. The video is a clear proof that hobby hunters know very little about nature, humans and animals. The work gives deep insights into the bizarre world of thought in the militant milieu of hobby killers. 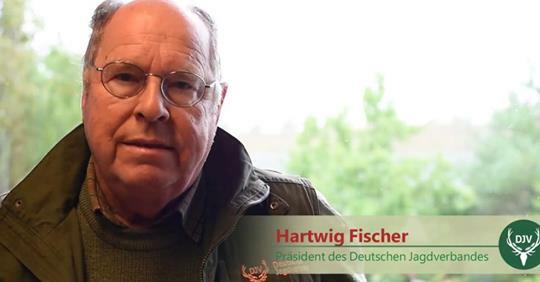 At the same time, German Hunting Association President Mr. Hartwig Fischer is asking for tolerance and a sense of reality – a man, who claims to have seen animal rights activists in Germany with banners in front of lions! What Hartwig Fischer does not mention in the medie is, who probably commits the majority of serious criminal offenses in our society: It’s his members! Since 2001, documents the initiative for the abolition of hunting, the victims of hunting accidents and crimes with hunting weapons. Also, in 2017, reports about people shot dead by amateur hunters or victims of hunting accidents shocked the public: in all, at least 31 people died in Germany only. Other grouping, with a similar illness, could say for example also: “We pedophiles live of and with the children, pedophilia is an original gentle use.”!!! The healthy Common sense, meanwhile, has already recognized, that such a thing is neither a gentle use for animals nor for children, because both, children and mammals, are sensitive beings, in an evolution, which the hobby-hunter misunderstood. This has to do with the fact, that brain anomalies are strikingly found in hobby hunters. Violence leaves traces in the brain after a short time. Neuropsychologists confirm: The amygdala, a core area in the brain, is conspicuously regressed or disturbed by violent people, such as amateur hunters. If this central part of the brain (feeling sorting office) is defective, disgusting is among other things eliminated. This can be determined beyond doubt in conversations and acts with hobby hunters in everyday life. 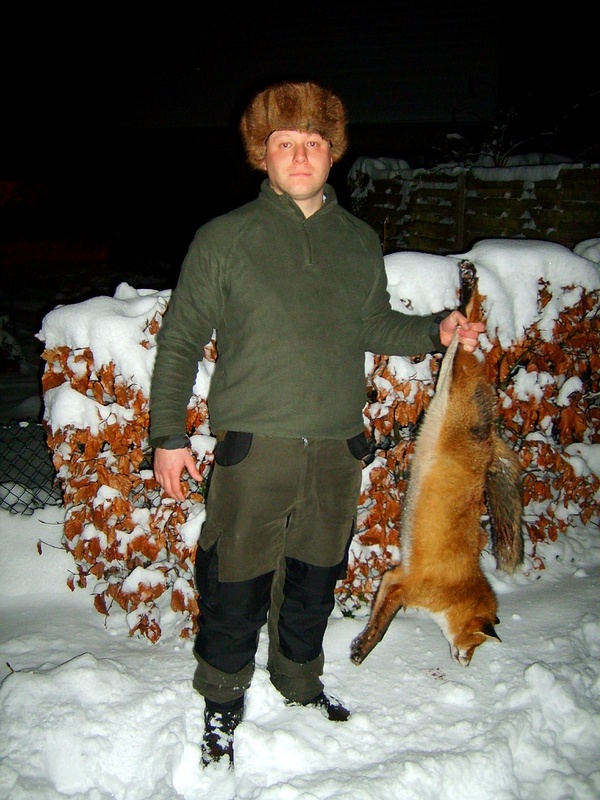 Relevant militant hunter magazines are full of pictures of hunters holding a weapon in their hands and posing in a dominant position over their victims. Such magazines stimulate the imagination of amateur hunters to want more and more hunting, even in all men’s countries. Such photographs and films need amateur hunters to feel important. If man used to hunt in times of need, even though humans are not meat eaters according to his genetics, then Mr. Hartwig Fischer, the president of the German Hunting Association, should confess to himself, that we no longer live in the Stone Age, instead of trying to sell the public as stupid with ridiculous comics. And now to the video. It’s in German, but fortunately only 2:16 minutes, so I was able to translate the whole thing. The propaganda has only one goal: to convince that animal rights activists demand the absurd. Where it does not exist, they invent it. This video is only intended for people with brain damage, as Carl Sonnthal (from the society “Wild bei Wild”) writes so beautifull! The title of the “German Hunting Association Video” is: the dark side of the animal rights!! (First topic: rescue dogs and pets). Bello, the rescue dog is a hero! He has already saved many people with his sensitive nose. To rescue people, the dog is forced. Therefore, the animal rights activists want to write the so-called animal law in the constitution. to the delight of humans and animals. The keeping of pets should therefore be prohibited !!! Is that dangerous for him, as a blind man!! Who stands by him in such situations. Together with his partner Rex, Mr. Müller manages to safely cross every street. Let’s force Rex to help him against his will. In nature the laws of eating and eating have been used since time immemorial. And thy ask from him don`t hunt animals! demand a vegan diet for everyone-by law! More is not needed for a good life together!! You can see it on youtube (https://youtu.be/gYKblw45mTY), where you can also turn the translation on.